January 26, 2018 At Messe München, mobility is being rethought for the future. At Messe München, mobility is being rethought for the future. Today, company boss Klaus Dittrich put the first charging points for electric vehicles on grid at the Munich exhibition center in the presence of Dieter Reiter, Mayor of Munich and Chairman of the Supervisory Board of Messe München. “This is the beginning of a larger initiative for electric mobility”, explains Mr. Dittrich. Messe München is installing a charging infrastructure for e-cars throughout the center. Up to 50 charging points are planned as well as a ‘supercharger’ for powering up quickly. In future, exhibitors and visitors can fill up with free electricity—green power from the center’s own rooftop photovoltaic system. Messe München is employing an integrated e-charging concept. 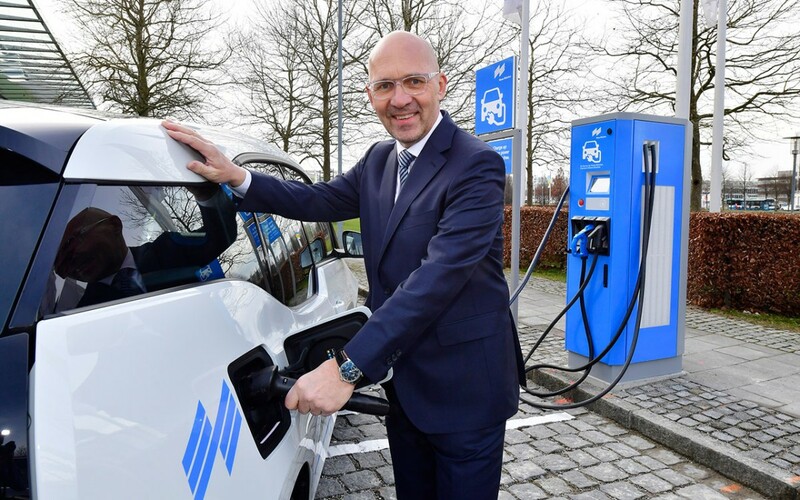 The planned charging infrastructure will comprise a total of up to 50 modern charging points (Mennekes, type2) as well as a ‘supercharger’ (triple-port charging point from ABB) at the ICM - Internationales Congress Center München. The quick-charging station at the ICM and four charging points at the administration building are already installed; a further 20 charging stations in the west multistorey car park are currently being constructed. In the further course of the project, there will be additional charging points spread around the entire grounds—including mobile units which can be positioned according to the occupancy of the exhibition center. By way of comparison, the public utility company Stadtwerke München currently operates 167 charging points for e-cars (as per January 10, 2018). 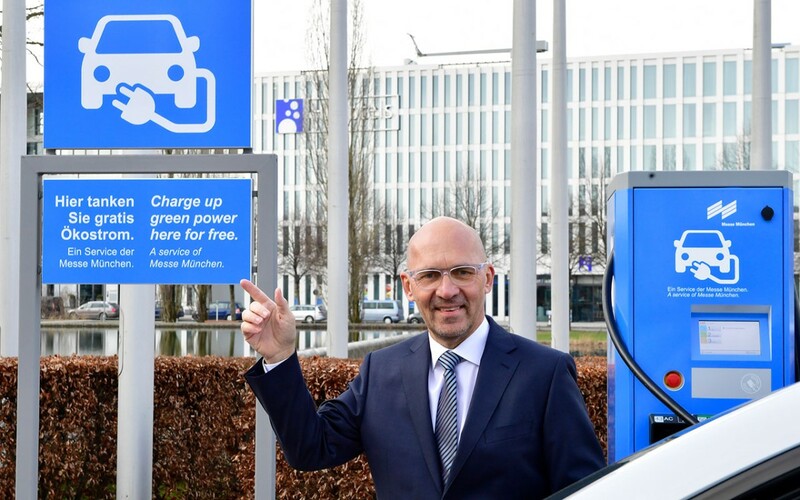 After Stadtwerke München, Messe München will be the biggest provider of electric charging points.